Mozilla is a company which works on open source and free software. All the source code for Mozilla software is available under the Mozilla and Netscape Public Licenses, which are accepted as free software licenses by the Free Software Foundation. All the source code for Mozilla is available under the Mozilla and Netscape Public Licenses, which are accepted as free software licenses by the Free Software Foundation. The spirit of the MPL is that you are free to use Mozilla code in your applications and products –including proprietary products– provided that you make any modifications to the actual Mozilla code base you made available to public. With free software, your business is not locked into the products of one company. You are free to control your own future. The Mozilla Foundation is a not-for-profit organization dedicated to furthering the public good by creating and promoting the Internet as an open platform that supports the principles set out in the Mozilla Manifesto. Mozilla is best known for the Firefox browser, but they advance their mission through other software projects, grants and engagement efforts such as Mozilla Drumbeat. The Mozilla Foundation was established in July 2003 as a California not-for-profit corporation dedicated to the public benefit. The Mozilla Foundation also wholly owns the subsidiary organization, the Mozilla Corporation. Mozilla was originally the code name Netscape Communications used for its web browser. Mozilla is also the name of Netscape’s mascot, and when the company released the source code for its successor to Netscape Communicator 4.x, it named its effort to coordinate the further development of the program Mozilla.org. After several years of development, Mozilla 1.0, the first major version, was released in 2002. This version featured many improvements to the browser, email client and other applications included in the suite, but not many people were using it. By 2002, well over 90% of Internet users were browsing with Internet Explorer. Not many people noticed at the time, but the first version of Phoenix (later renamed to Firefox) was also released by Mozilla community members that year with the goal of providing the best possible browsing experience to the widest possible set of people.They celebrated their 10th anniversary in 2008. In ten years the community has shown that commercial companies can benefit by collaborating in open source projects and that great end user products can be produced as open source software. More people than ever before are using the Internet and are experiencing it in their own language. A sustainable organization has been created that uses market mechanisms to support a public benefit mission and this model has been reused by others to create open, transparent and collaborative organizations in a broad range of areas. Mozilla Firefox is a free, open source, cross-platform, graphical web browser developed by the Mozilla Corporatio n and hundreds of volunteers. Beginning as a fork of the Navigator component of the Mozilla Application Suite, Mozilla Firefox has since become the foundation’s main development focus (along with the Thunderbird mail and news client), replacing the Mozilla Suite as the foundation’s official main software release. 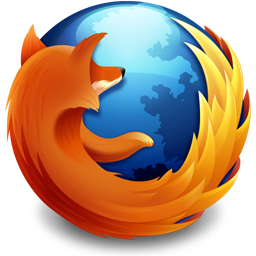 The Mozilla Firefox project was created by Dave Hyatt and Blake Ross as an experimental branch of the Mozilla project. The project which became Firefox started as an experimental branch of the Mozilla Suite called m/b (or mozilla/browser). After it had been sufficiently developed, binaries for public testing appeared in September 2002 under the name Phoenix. Firefox 1.0 was released on November 9, 2004 and the last Version 9.0 was released on December 20, 2011. 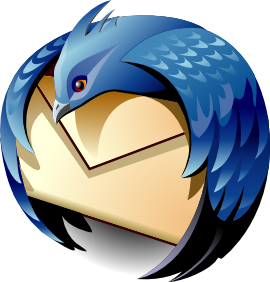 Mozilla Thunderbird, is a free open source, cross-platform e-mail and news client developed by the Mozilla Foundation. The project strategy is modeled after Mozilla Firefox, a project aimed at creating a web browser. Originally launched as Minotaur shortly after Phoenix (the original name for Mozilla Firefox), the project failed to gain momentum. With the success of the latter, however, demand increased for a mail client to go with it, and the work on Minotaur was revived under the new name of Thunderbird, and migrated to the new toolkit developed by the Firefox team. Thunderbird runs on a wide variety of platforms. The source code is freely available and can be compiled to be ran on a variety of other architectures and operating systems. Multifunctional web browser project. The SeaMonkey project is a community effort to develop the SeaMonkey all-in-one internet application suite . Such a software suite was previously made popular by Netscape and Mozilla, and the SeaMonkey project continues to develop and deliver high-quality updates to this concept. Containing an Internet browser, email & newsgroup client with an included web feed reader, HTML editor, IRC chat and web development tools, SeaMonkey is sure to appeal to advanced users, web developers and corporate users. 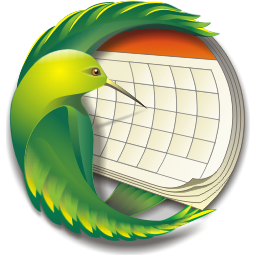 Mozilla Sunbird is a free and open source, cross-platform calendar application that was developed by the Mozilla Foundation, Sun Microsystems and many volunteers. Mozilla Sunbird was described as “… a cross platform standalone c alendar application based on Mozilla’s XUL user interface language.”[ Announced in July 2003, Sunbird is a standalone version of the Mozilla Calendar Project. It was developed as a standalone version of the Lightning calendar and scheduling extension for Mozilla Thunderbird. 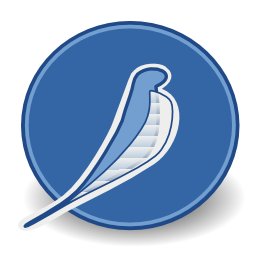 Development of Sunbird was ended with release 1.0 beta 1 to focus on development of Mozilla Lightning. Camino is a free, open-source web browser for Mac OS X. It uses Apple’s Cocoa programming toolkit and the Gecko web page rendering engine from Mozilla. Camino is small, fast, and easy-to-use, and offers many advantages over other browsers, such as the ability to block pop-up windows and annoying advertising. Read more about the browser on the Features page or on our Project home page. Thanks, your feedback is appreciated. Heya, I just hopped over to your website through StumbleUpon. Not somthing I would generally browse, but I appreciated your thoughts none the less. Thank you for making some thing worth browsing.